Knit (or crochet and knit) this versatile tube hat in from one to four colors. Tube may be rolled, folded or pleated to create different styles. One size fits most. 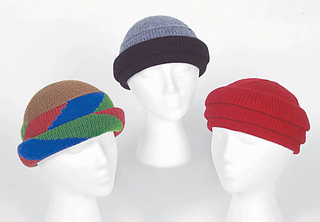 Note: Color changes in 4 color hat make this zig-zag hat an intermediate pattern.